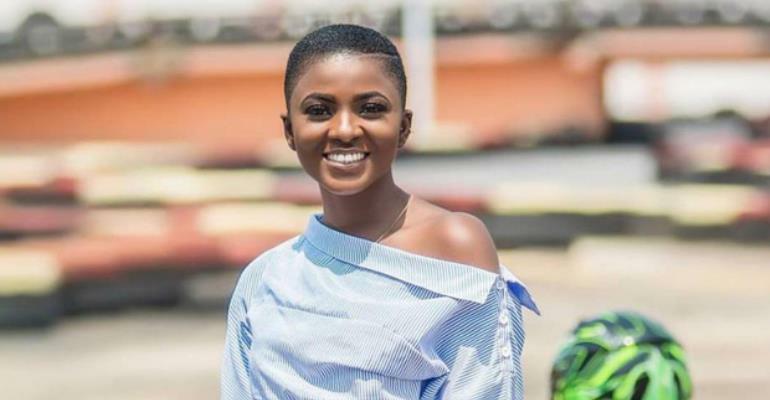 Actress Patricia Opoku Agyeman, known in showbiz circles as Ahuofe Patri, says she is still learning how to act and needs more time to better her skills. Speaking in an interview with JoyNews‘ Doreen Avio, the ‘Boys Kasa’ actress, who said she has only been involved actively in the movie industry for less than a decade, pointed out that she is currently doing her best to execute her roles in movies. She, however, pleaded with her critics to give her some time to better her craft as an actress. “…I am still learning. I always find new ways to learn. It’s only been five years and counting and I have worked with so many people…,” she added. Ahuofe Patri is well aware that not everyone would appreciate her efforts although she is trying her best. “…Not everyone will like what you do. I’m still learning. If you didn’t like the previous movies, trust me you are going to like the next one…,” the actress assured. Ahuofe Patri is currently embarking on a campaign to empower young female students against sexual abuse. The campaign is part of activities by She Power Africa, a non-governmental organisation founded by Ahoufe Patri, to promote gender equality and also end sexual violence against women and children. It is in collaboration with Lokhanda. The actress, together with her team, started the campaign with female students of the Gomoa Dompoase D/A Model Basic School in the Central Region.